Communities of color throughout the United States experience health inequities as compared to white communities, and Oregon is no different. Don't just take our word for it: check out what current research is saying about the health benefits of nature. Cultural, historical, racial, and economic barriers can prevent some communities from having equitable access to outside spaces. Even though public lands belong to all of us, communities of color face unique challenges surrounding outdoor access and equity. But our public lands are diversifying, and we're supporting local nonprofits and service providers to help remove those barriers and get more Oregonians of color enjoying our state's great outdoors. In Oregon's scenic Columbia River Gorge, we worked with LatinXplorers to start a hiking group for Latinx individuals living in and around Hood River. 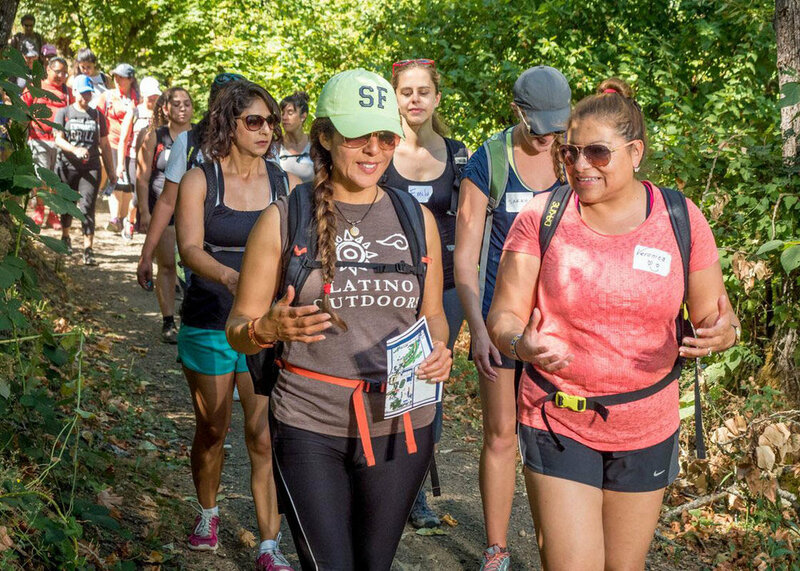 By arranging transportation to trailheads and providing outdoor guides, LatinXplorers was able to remove barriers to access that prevent people from getting out onto trails. For more information check out our program review document, or connect with LatinXplorers online. Have your own pilot project and need technical support? Contact us to find out how we can help make sure your health and outdoors program is a success!